Los Angeles VIP Tours "private vip tour los angeles","los angeles vip tour","vip tours los angeles airport","private vip tour los angeles","vip tours los angeles reviews","los angeles vip tours reviews","VIP tours Los Angeles","VIP tour Los Angeles","vip tours los angeles by night","private vip limousine tour of los angeles","universal vip tour los angeles","VIP tour of Los Angeles","vip grand tour of los angeles","VIP day tour in Los Angeles"
As you guided through your perfect VIP tour of Los Angeles, enjoy the highest level of service and LA sightseeing perks from your private VIP tour guide. Experience Los Angeles in an unforgettable way: design your own private Los Angeles VIP excursion in the city of Angeles and our VIP tour guide will take there with sightseeing commentary along the way. Best personalized service, professional insight and insider stories throughout your VIP LA tour from your highly knowledgeable tour guide. Los Angeles VIP tour has no established tour time. You can schedule anytime, any number of stops and for any period of time. To schedule your Los Angeles VIP tour, just drop us a quick note to limo@latraveltours.com or call 1-800-761-1775, In Australia, call (03) 9005 5907. American Riviera Private Tours on TripAdvisor. 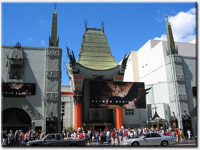 We will be glad to help you with the VIP day tour in Los Angeles. Private and personal guided LAX airport LA layover VIP tours available to schedule anytime. *Drop off and pick up is available also at the Los Angeles port , LAX airport, Disneyland, Anaheim, CA or Long Beach port cruise terminal. Best value you can combine VIP bus limousine transportation transfer service and travel tour together.Day or night. Yuri picked us up at our hotel right on time in a nice big Suburban. He and I had corresponded prior to the trip so he had a good idea of the sites we wanted to see. He took us right away to the Hollywood sign, then off to Rodeo Drive, Beverly Hills, stars' homes, and on an on. Yuri picked us up from our Disneyland hotel for a guided private tour for 8 hours there was 4 adults and luggage and we all fitted in his car comfortably. he then dropped us off at LAX after dinner he suggest a great Italian restaurant for our evening meal.